Agroindustrial and forestry residues, which are by-products of key industrial and economical activities, stand out as potential raw materials for the production of renewable fuels, chemicals and energy. The use of wastes is advantageous as their availability is not hindered by a requirement for arable land for the production of food and feed. In addition, waste utilization prevents its accumulation, which is of great environmental concern due to its potential for contamination of rivers and underground water. In Brazil, the agroindustry of corn (13767400 ha), sugarcane (7080920 ha), rice (2890930 ha), cassava (1894460 ha), wheat (1853220 ha), citrus (930591 ha), coconut (283205 ha), and grass (140000 ha) collectively occupies an area of 28840726 ha (FAOSTAT, http://www.faostat.fao.org/site/567/default.aspx#ancor) and generates 597 million tons of residue per year. By itself, this scale of operation calls for new solutions aiming for the appropriate utilization of these valuable resources. However, innovative dealings must be environmentally and economically acceptable and, most importantly, have social meaning. Indeed, great social benefits could draw from novel year-round activities as alternatives for the typical seasonal jobs in agroindustry. 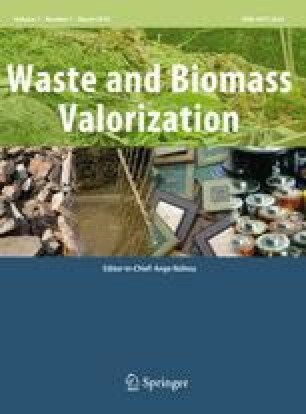 Considering the production of biomass ethanol, the abundance of feedstock near the site of processing must be taken into account, as low-density biomass involves significant handling and transportation costs. Within this context, the crushed stalk of sugar cane (bagasse) and straw are obvious choices, although bagasse is often burned for the production of steam (heat) and power/electricity in sugar-ethanol mills and important amounts of straw are needed to keep the soil nutrients balance. Other agricultural by-products of importance in Brazil, such as corn straw, wheat straw, rice straw and rice hulls, grass and forestry materials and residues from citrus, coconut and cassava processing, also deserve attention as local feedstock for the development of new and profitable activities. As each type of feedstock demands the development of tailor-made technology, the diversity of the aforementioned raw materials could allow for new solutions for the production of chemicals, fuels and energy in accordance with the local availability of these materials.